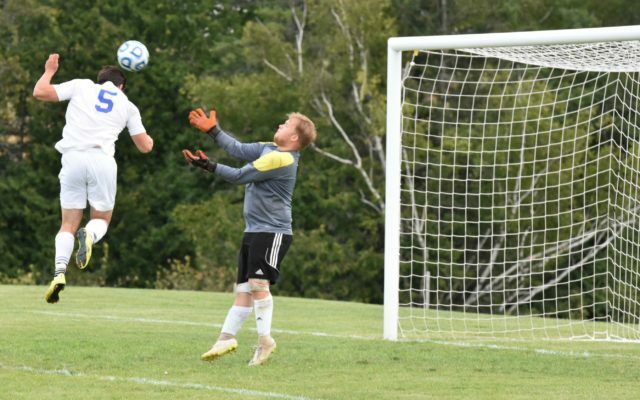 Freshman midfielder Andre Rossignol of the University of Maine at Presque Isle soccer team was named Player of the Week in the North Atlantic Conference for the week ending Sept. 9. The Van Buren native, a 2017 graduate of Caribou High School, notched hat tricks in a victory over UM-Machias on Sept. 5 and in another win over Hampshire College on Sept. 9. He also scored UMPI’s lone goal in a loss to Fisher College Sept. 8. The Owls own a 3-2 record on the season and Rossignol has eight of his team’s 12 goals.